Preformed metal crowns (PMC) popularly called stainless steel crowns are invaluable restorations for both primary and young permanent teeth. Their virtues include conservative tooth preparation, single appointment placement, excellent retention, and predictable long-term stability, making them the gold standard for posterior full coronal coverage in children. While PMCs are indispensible in grossly carious primary molars and following pulp therapy, their value in the immature permanent tooth has largely been discounted. In young permanent molars with extensive developmental malformations like molar incisor hypomineralization (MIH), amelogenesis imperfecta, and following pulp therapy, the stainless steel crown is certainly the most conservative full coronal restoration. Though it continues to evolve in its usage with newer philosophies of placement like the Hall crown in primary teeth (Chap. 1), learning how to manipulate and place a classic preformed metal crown is fundamental to the practice of pediatric dentistry. 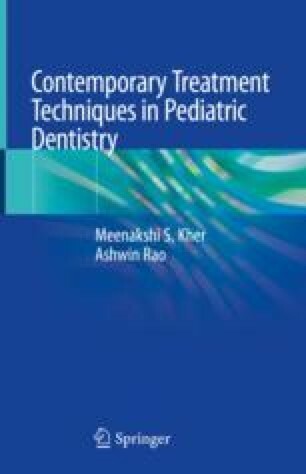 This chapter teaches this subject like never before with the help of comprehensive clinical pictures of every step in the selection, manipulation, and placement of preformed metal crowns in both primary and the immature permanent molars. The long-term follow-ups, clinical modifications, and helpful tips shared in this chapter make it an erudite guide on the subject.